FEG's good cop bad cop double act. You decide who's which. FEG recovery czar Henry Carr: keen to use big data to claw back FEG funds. 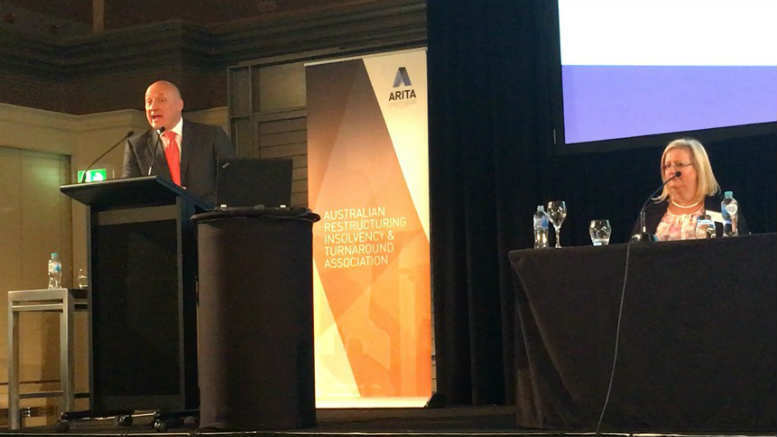 FEG is keen to fund, attendees to the Australian Restructuring Insolvency & Turnaround Association’s (ARITA) NSW/ACT divisional conference heard yesterday. The head of the Department of Employment’s active creditor unit, who is charged with recovering as much as possible of every dollar doled out to employees of failed companies via the taxpayer-backed Fair Entitlements Guarantee Scheme (FEG), said yesterday that within limits, even smaller matters could be funded. “If solicitors are contemplating punting a matter, we would invite them to come to us,” FEG recovery chief Henry Carr said. “In one matter we gave them an indemnity and threw in thirty or forty thousand dollars to pay for some of the barristers’ fees, so that’s one way we can get involved in some of those smaller matters,” he said. 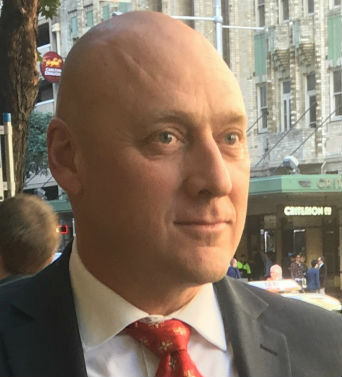 “What we’re also looking at is taking a premium like a litigation funder of say 30 or 40 per cent and that money comes off the top but unlike a funder, that money if you like comes off the FEG debt,” he said, explaining that making profit on behalf of government is taboo. Carr also enthused about the developments in big data, cross matching and information sharing detailed in the previous panel discussion about pre-insolvency. He said FEG was eager to get involved in this area and would probably take the lead on certain matters, though he provided no specifics around timing. The audience however wasn’t allowed to get too comfortable. Carr’s colleague Janine Cole told the conference that much of FEG’s funding was spent not assisting insolvency practitioners but in effect divesting them of monies they had erroneously applied to their own fees. Describing compliance with sections 433 and 561 of the Corporations Act Act as a “very interesting area” Cole detailed how much of a focus it had become for FEG, and why. “It costs FEG a lot of money. The receiver passes the circulating assets to the liquidator because he (or she) doesn’t see anything in it for their charge holder. We see it as a positive obligation on the receiver, having collected within the circulating assets, they they need to go and do the distribution to the priority creditors,” Cole said. “We funded a couple of matters where this hadn’t happened. The receiver’s passed the money to the liquidator, the liquidator paid past fees – in one example about $800,000 worth – and then decided that they’d take on some insolvent trading actions and other recovery actions,” she said. “Now FEG’s paying for that at the end of the day. That’s money that should have been paid by the receiver to the priority creditors. We put up our hands to both the liquidator and the receiver and said: ‘we don’t care which one of you sorts it out but we are going back to the section 433 assets and what you got for them. That’s the amount you need to account the priority creditors for. Not the amount after the liquidator’s taken all their fees,” she said. 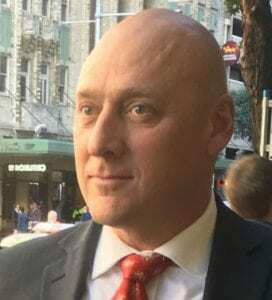 Demonstrating genuine flair for understatement, Cole added: “I know it’s very unpopular and I know with receiverships a lot of practitioners think ‘well, I’ll wait till the receivers have completed their job and then I’ll get the left over money and pay my past fees and do further investigations and so on’. That’s one where we will challenge,” she warned. 2 Comments on "FEG: keen to fund but beware priority creditors"
it is a pity that receivers of assets the subject of a circulating security interest our unaware of the priority requirements specifically provided for under the Corporations Act 2001. I would have also thought that cross matching would have been picked up in them seeking a tax clearance under the Taxation Administration Act 1953 and someone would have drawn to their attention the fact that payments had been made under the Fair Employments Guarantee Act – assuming they were not involved in the processing of those applications during the administration of the receivership. No doubt any monies that could be recovered from the receivers may be the subject of a claim by them against the secured creditor who appointed them under the Deed of Indemnity that is no doubt in place. One can only guess! This topic perhaps has a much longer “tail” than might otherwise be thought of. The company itself perhaps in whatever guise that exists would bring a proceeding against the receiver as an “officer” for breach of duty perhaps to the disadvantage of the company but then again the receivers would have the ability to fall back on s. 1317S or s. 1318 the normal excuses that are given by an “officer” to be excused from liability to pay compensation under s. 1317H.